In this case, it’s the library. 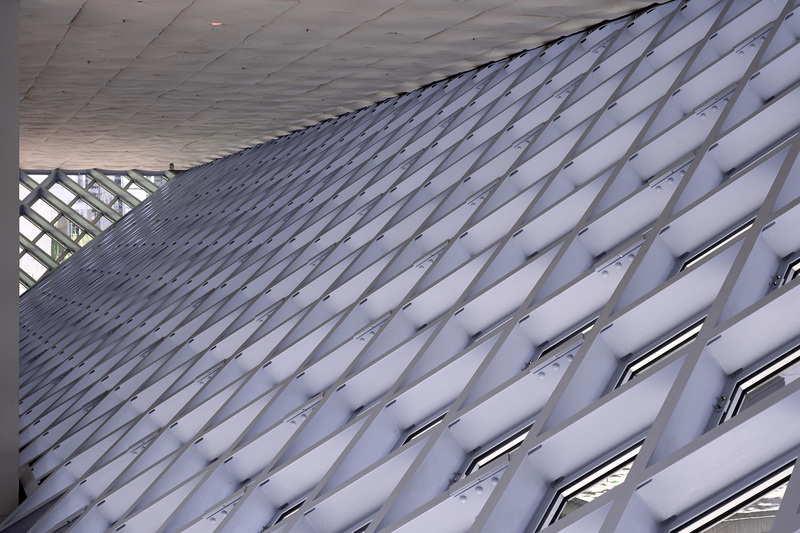 The Seattle Public Library is awesome. 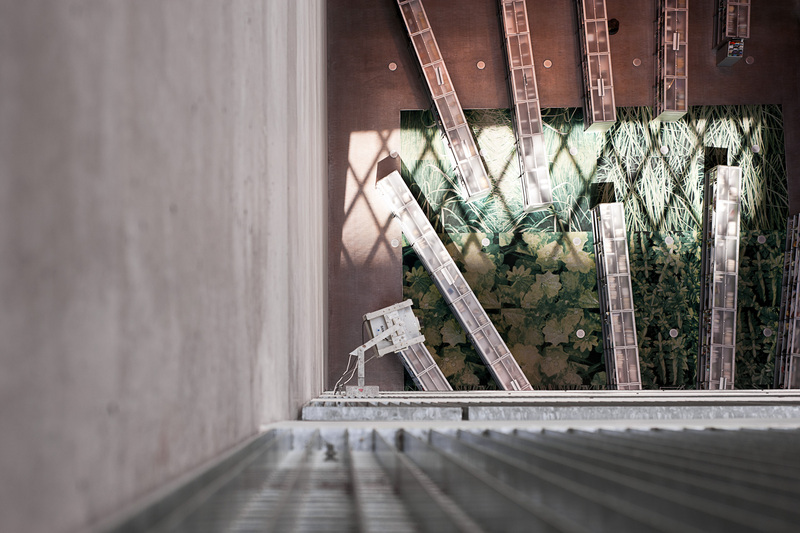 At the top you’re catching a glimpse of what it is like to look down from the highest point in the library, down to the ground floor stacks. I think we were 10 stories up when I took that photo. Being that high up got Sam and I both a little anxious. But the views were worth it. I wish I had gotten a shot from the outside of the building, why I didn’t I’ll never know. As you can see from that picture, instead of holding a regular, rectangular tube shape most buildings in an urban setting resort to, the library opted for something all-together different. Luckily, even though I didn’t get a good photo of the outside, someone else did. Looks like something straight out of a sci-fi movie. 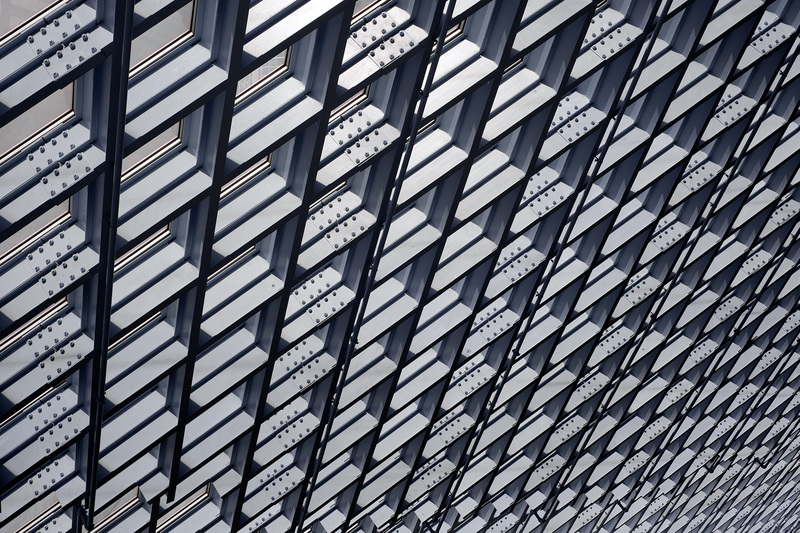 And while all the steel, crazy angles and glass is awesome looking, not to mention the sweet escalators and openness of the interior, it was the honey-comb windows as viewed from inside out that really caught my attention. They remind me of the photos I used to take of classrooms. Where the seating looked like it was some sort of endless sea of desks, almost as if only a computer could have created such perfect repetition. There were many other opportunities to marvel at the Seattle landscape and architecture, like the Amazon.com headquarters. 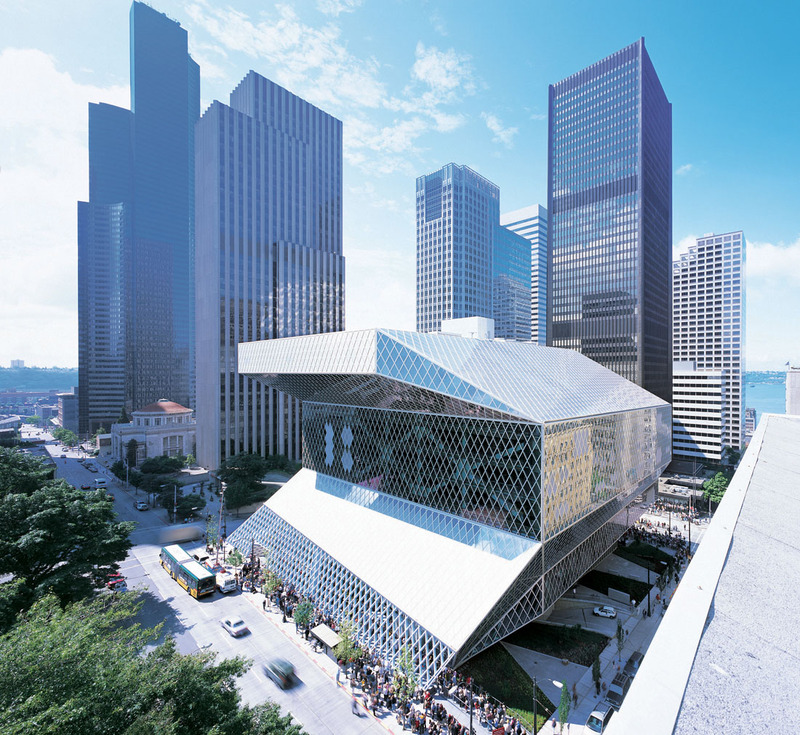 But it’s the Seattle Public Library that will always stick in my mind when I think about Seattle architecture. This entry was posted in 365, Art, Life and tagged Architecture, Arts, Arts and Entertainment, beautiful buildings, Chicago, Libraries, Modern architecture, New York City, Photography, Seattle, Seattle Public Library, Washington, Washington DC by Justin Scott. Bookmark the permalink. @mathewsanders Thanks for the TED link. I’m heading out to Seattle in a few weeks, I’ll have to watch the TED talk and keep it in mind when I go back to the library.